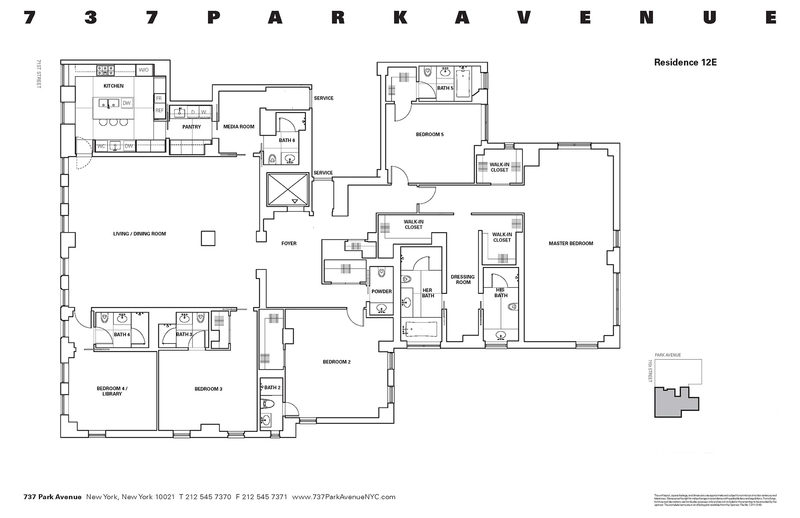 737 Park Condominium – Park Avenue Gold Coast. This amazing high floor, high ceiling, bright and airy 5-bedroom, 7.5-bath condominium residence at 737 Park Avenue measures approximately 4,850 square feet. It is the largest E-Line available in the building; offering larger rooms and an additional bedroom with the highest ceilings in the building. The home features an enormous sun-filled living and dining room great for entertaining with five south facing windows and open views. The Carrera marble eat-in kitchen features custom Varenna cabinetry, Miele appliances, Franke sinks, and a separate adjoining laundry and pantry area. The grand master suite measuring approximately 15 × 32 feet features a windowed dressing area and two separate bathrooms both with custom vanities, Dornbracht fixtures, soaking tub, glass-enclosed showers and heated floors. All other bedrooms in this residence feature en-suite bathrooms, generous closets and open sunny views. There is also an additional room off the pantry which can be used for staff, an office or a breakfast room. This residence has new quartered solid oak flooring, casement windows and central air conditioning throughout. The home has also been outfitted with custom closets throughout and electric solar shades. 737 Park Avenue Condominium is situated among New Yorks most celebrated prewar buildings and is directly across the street from the legendary 740 Park Avenue cooperative. 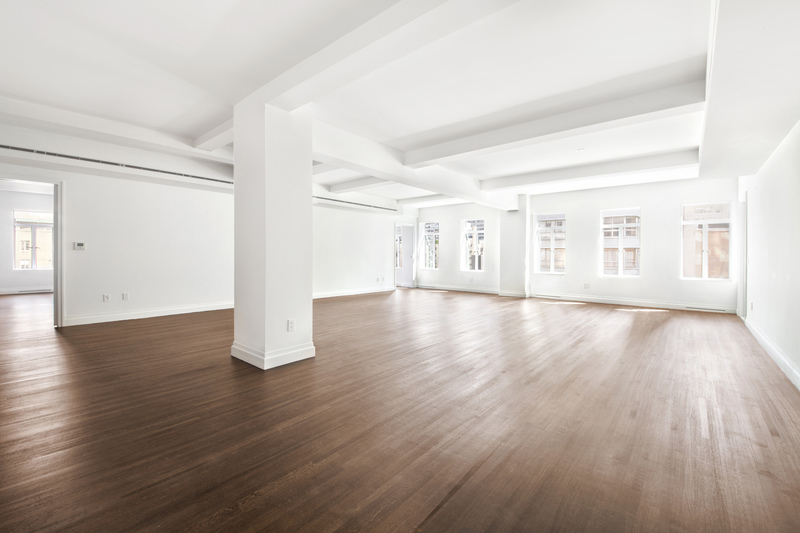 737 Park Avenue is steps from Central Park, top restaurants and World renowned shopping. This magnificent home is a rare find and a must see.